Welcome to the second installment in our series about money and the economy. Last time, we looked at regionalized efforts to provide alternative currencies. Today, we’ll shift our focus a little and present a movement that tries to challenge our perception of what money should be used for: the Gemeinwohlökonomie, or Economy for the Common Good. At its core, the Gemeinwohlökonomie addresses what its proponents call a dissonance between our modern values of mutual appreciation, cooperation, creativity, trust, solidarity and sharing and the currently dominant economic setup. The latter, based on the ideal of a free market system, ends up rewarding competition, greed and money accumulation. According to Gemeinwohlökonomie’s founder, this is not just a theoretical problem, but is scientifically proven to lead to unhappiness, economic inequality and ecological disasters in practice. With this in mind, the people behind the project set out to design an economic as well as political system that is built around those modern values and the task of promoting and rewarding them. In their eyes, this calls for a complete change of what it means to run a business and to participate in politics. They think that serving the common good has to replace profit accumulation as the yearly target for both entrepreneurs and government officials. The basis assertion of the project is that people can and should do business differently; thus, the core efforts revolve around changing the way businesses are run. In order to drop profit maximization as the primary target, the annual balance sheet is demoted to an item of secondary importance and replaced by the “common good balance sheet”. 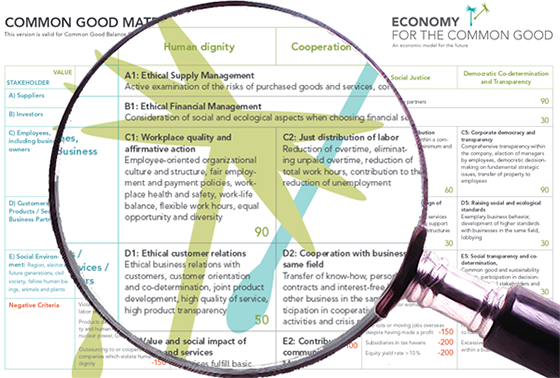 This is a type of scorecard in which points are given out in five main categories – human dignity, solidarity, sustainability, justice and democracy – and their sub-criteria. At first, the business assigns these points itself, and in a following step, external “auditors” draw up an additional report, checking the businesses’ own results. In a fully-realized common-good political system, the businesses scoring the most points here are then rewarded with tax benefits, lower tariffs and given preference in the assignment of public projects. Since these incentives remove the pressure to grow and compete with other businesses as we see like in today’s market, the theory is that most businesses will tend towards an “optimal” size, with mostly small to medium-sized operations remaining. Measures will be taken to ensure that the few large enterprises are at least partially controlled and owned by its workers and the general public. This full-fledged common-good polity is itself run with the common good as the ideal – as such, the GDP is replaced as an indicator of prosperity by the Common Good Product. The banks are set up as “democratic banks”, with their main jobs including financing the state through interest-free loans, providing free savings accounts for the public and (in the case of the Central Bank) controlling international money movement to prevent tax avoidance. Financial speculation and financial markets are decidedly forbidden in this system. Here you can see only one example of public institutions the program calls “democratic commons”. Gemeinwohlökonomie-founder Felber has a long history of criticizing excessive privatization (and the theorists supporting them, most notably Hayek). He insists that it leads to basic goods becoming more expensive and unattainable for people. Thus, these commons guarantee public ownership of what are called “basic services”, such as health, transportation, energy, communication, and banking. But who’s responsible to keep this all running? Parallel to the economic revolution, the entire current setup of representative democracy also gets an overhaul. Felber asserts that representative democracy has in practice led to politicians telling most people what to do and to believe in the service of competition ideology. The remedy for that, according to him, is increased responsibility for the population. Through expanding direct democracy, the current system is to be slowly transformed into what he calls “sovereign democracy”, in which the government is partnered by a series of popular “convents” and committees overseeing the public institutions. The popular sovereign itself has wide-reaching powers, such as setting up and changing the constitution, drafting up and approving laws, and signing international treaties. Those are just some points of the program. To its credit, it is exceptionally detailed, so what I synthesized here is simply what I saw as being most important in the 10-point-program on its official homepage and the 20-point-program from Felber’s homepage which is based on the one in his book – follow the links to get a more comprehensive picture and read about unconditional basic income, reduced hours per work week, ecological human rights and abolishing land ownership amongst other things. The term was already coined in 2001 by Joachim Sikora and Günter Hoffmann in their book “Visionen einer Gemeinwohl-Ökonomie” (visions of an economy for the common good), where the authors demanded regional currencies, land reform and an unconditional basic income amongst other things. Attac-Austria-co-founder, publicist and political commentator Christian Felber picked up on the suggestions in a couple of books and elaborated on them, before being joined in devising a practicable concept by a handful of entrepreneurs between 2008 and 2010. Together, Felber and the Attac-UnternehmerInnen-Gruppe (Attac-entrepreneur-group) presented their results in the book “Die Gemeinwohl-Ökonomie.” Ever since, they’ve been trying to galvanize support among business(wo)men, government officials and the general public. Aside from the parent organization in Vienna, another has been founded in Italy. Other countries such as Germany, Spain and Northern Ireland are being involved through lectures and partner businesses. According to the project’s homepage, almost 2000 businesses are actively supporting it, with many of them submitting their own Common Good Reports. 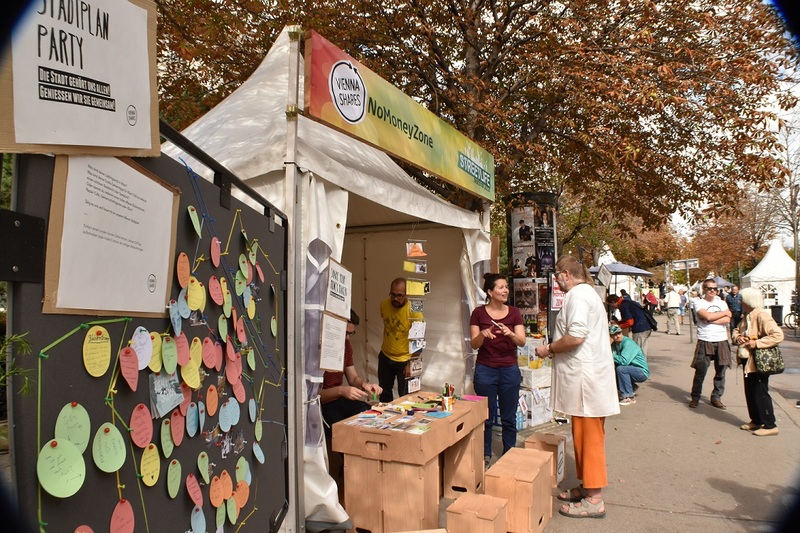 Political success has also been achieved with an association of four municipalities in South Tyrol officially adopting the program in 2014 and the Green-Conservative coalition in Salzburg including it in their government accord. As is to be expected with an idealistic program that wants to radically change the status quo, many critical opinions have been raised. I’ve cherry-picked three here that I thought are somewhat representative: a commentary from political writer Michael Amon in the Austrian newspaper Die Presse, an analysis by the Julius-Raab-Stiftung, and a 42-page-study published by the Austrian Chamber of Commerce. Amon, himself associated with the Austrian Social Democrat Party has attacked greed and the effects of an allegedly free market within the EU, just like Felber. Nevertheless, he calls the latter’s proposals “crude”, and specifically criticizes all the “commons” institutions that have to be created in order to make the Common Good Economy work. In his eyes, all this leads to is unmanageable bureaucratic effort, leading only to the sort of minority rule by a circle of experts that came to pass in bygone socialistic systems. Similar things can be gathered from reading the dossier released by Karin Steigenberger for the Austrian Chamber of Commerce. According to her, the common good is far too much of a nebulous term to be properly defined. Like Amon, she proposes that the democratic institutions Felber planned for would only be somewhat workable if a small circle of specialists then were to work out what Common Good actually means, inevitably leading to a controlled economy and limiting individual freedom. What’s more is that implementing the Common Good Economy in Austria would lead to businesses emigrating to more profitable destinations and Austria having to leave the EU, because of the Common Good Economy’s laws against personal property and freedom contradicting EU law. René Schmidpeter, writing for the ÖVP-affiliated Julius-Raab-Stiftung, mostly attacks Felber’s claims from a different angle. He takes issue with Felber asserting that the Common Good Economy is based on scientific findings about the modern market economy. Specifically, he criticizes Felber for starting out with solid premises but drawing illogical conclusions from them. For instance, Felber asserts that there is a conflict between the values dominating today’s economy (competition-driven) and our interpersonal behavior (based on cooperation). The root cause for this, in Felber’s eyes, is cutthroat competition. Schmidpeter agrees on the difference in values, but takes issue with the lack of arguments for making competition responsible for this and claims that it’s only natural to behave differently in different contexts. Another problem that Felber points out is the unfairness in price formation, which is driven by hierarchical structures in the global market – again, Schmidpeter agrees that this problems exists. Felber then goes on to claim, as before, that the market economy and competition are responsible, without providing proof in Schmidpeter’s eyes. The latter argues that taking Felber’s assertion to its logical conclusion, more competition would actually be desirable and that the Common Good Economy relies on a fundamental misunderstanding of what the market does in reality. All three critiques also lay into Felber’s idea of human nature. Amon scoffs at Felber as another proponent of human behavior solely rooted in economics. Steigenberger criticizes him for ignoring that most people are driven by their own interest and their own advancement in life. Schmidpeter brings a bit more nuance to that and insists that cooperation and competition should not be treated as separate ends of the same scale. Personally, the idea of the bottom-up introduced accountability of businesses through the report cards appealed to me. It seems that such a process could make business dealings a lot more transparent for everyone (this is something that the founder of Sonnentor, a company participating in the Economy for the Common Good, has also complimented). The more extensive political theory behind it left me a bit baffled sometimes, especially when it comes to the “sovereign” and how it should be implemented alongside a government. In Felber and the Common Good Economy’s defence, they’ve always insisted that they don’t have an omnipotent solution and that their programs have to be improved through constant comparison and criticism. As always, we’re interested in your opinion. Is the Common Good Economy a realistic aim, and are its proposals something to be supported or just unrealistic idealism? Can human activity be based on cooperation, or is profit-seeking something that is an essential part of us? Do the two have to be opposed? Let us know your thoughts. 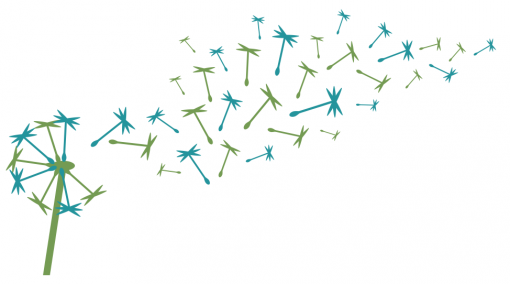 The Guardian – Can we create an ‘Economy for the Common Good’?